Soak up wide views over the picturesque landscape of the Black Forest, enjoy comfortable state-of-the-art facilities and feel welcome and at home. We are looking forward to welcoming you soon and to make you feel at home and comfortable in the heart of the “South Black Forest” Nature Park. Indulge yourself with traditional meals and classic dishes in a contemporary interpretation, served in a relaxed atmosphere, which is almost daily enhanced by live music. 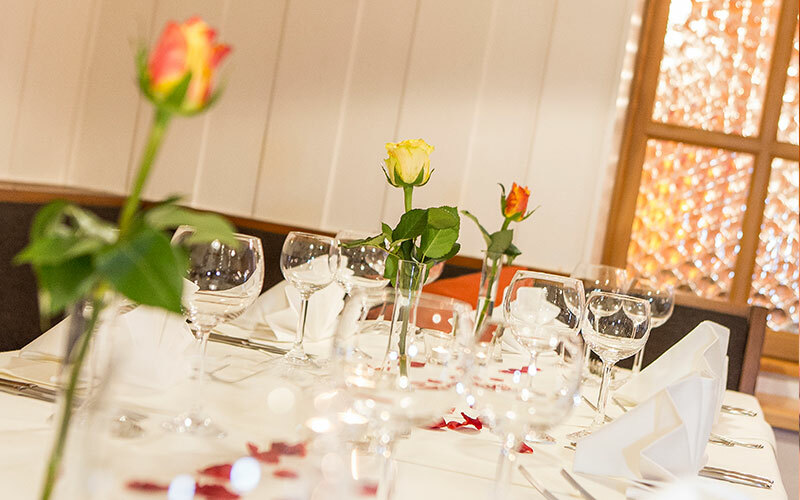 Our Hubertusstuben Restaurant serves game dishes from local woodlands, fresh fruit and vegetables of the season as well as a choice of fine fish dishes, accompanied by well-chosen wines. A warm welcome to our lovingly restored historic Country Inn with its picturesque beer garden. 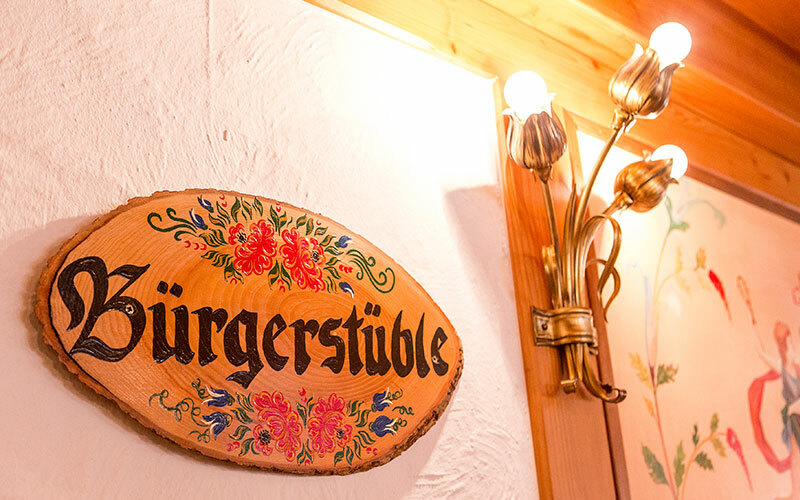 The Rössle Country Inn serves local food and provides 8 “Nostalgia Bedrooms”. The mild stimulating climate and the quiet location in Höchenschwand, the "village in the sky", offer our a clinic excellent conditions for your recovery. The Black Forest is really worth more than one visit: unspoilt nature, traditional and contemporary cultural life, state-of-the-art spa facilities and abundant amenities. Take a look at the pictures of the Georgsklause Restaurant. We hope to see you soon at our restaurant with ballroom. Come and enjoy the live music and the cosy atmosphere. Warm Kitchen till 9.00 p.m! Imprint | Privacy Notice | © Porten Hotel- und Restaurationsbetriebe GmbH Alle Rechte vorbehalten!